A highly relevant and expensive aspect of the wedding is jewelry. The bride’s parent shed lacs of rupees for gifting the most glamorous piece of jewelry to their lovely daughter. With an ever growing market for precious and semi-precious trinkets, it is very easy to locate bridal jewellery shop in Jaipur. But simply finding a shop does not complete the job. You as a bride-to-be should have an idea of different types of jewelry available in the market like mix stone, gold, diamond etc. And not only this, but you also have to find the perfect set of jewels which fall within the budget. To help you out, we have compiled lists explaining various jewelry options available in the market along with their importance for a bride. 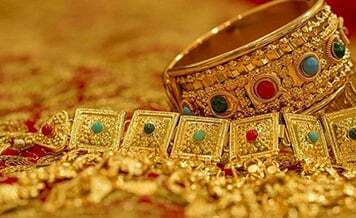 Antique Jewellery: A jewelry whose production dates back to historic times, like the pieces worn by the erstwhile Maharaja’s and Maharani’s, fall in the category of antique pieces. The production methods which are used for making such precious trinkets are no longer known. This type of jewelry is passed within the family, from one generation to next. For this reason, such pieces are not easily available in the market and if available, they are auctioned at very high prices. Fashion Jewellery: It can be defined as a piece of jewellery which changes with fashion and trend. Such pieces are made of semi-precious or imitation stones which cost a lot less than precious jewelry. They are preferred by young, college going girls who like to experiment with jewelry pieces by matching them with different outfits. However, as a bride, you too can purchase fashion jewelry for wearing them office parties etc. 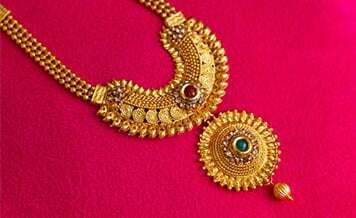 Gold Jewellery: Great investment, breath-taking beauty and forever shining; these are some of the reasons why a lot of Indian women love gold jewelry. 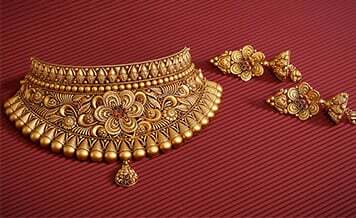 As per various Hindu rituals, gold is considered as a sacred and pure metal which is associated with Goddess Lakshmi (the harbinger of wealth). So it won’t be wrong to say that, gold jewelry is the most sought after bridal jewelry. 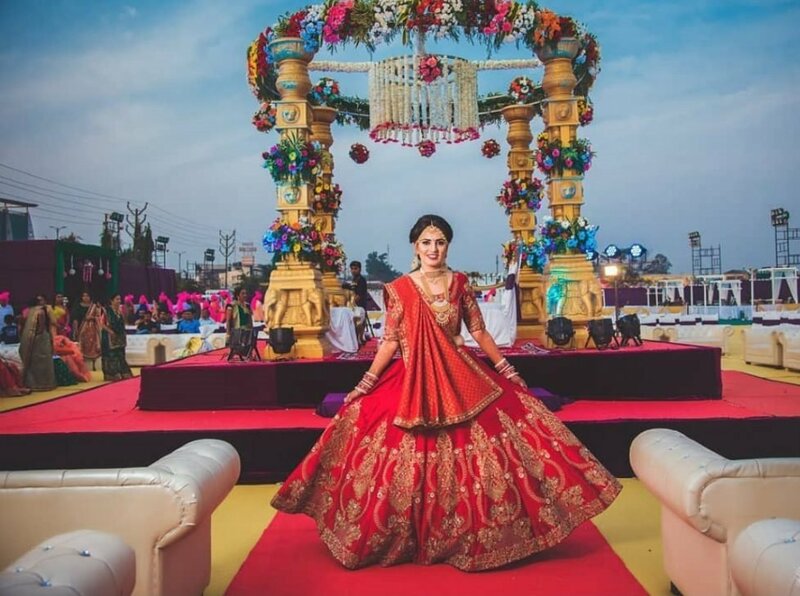 However, if you feel purchasing expensive trinkets is not possible, then shops for wedding jewellery on rent in Jaipur are also available for help. Diamond Jewellery: It has often been said, diamonds are a girl's best friend. Modern day brides are purchasing dazzling diamond pieces of jewelry to live their Cinderella moment on the big day. However, brides prefer wearing this white and shiny piece for their engagement functions and not on the wedding day. Diamond jewelry is very versatile in nature and can be easily paired up with saree or gown or lehenga. Kundan Jewellery: If you are a bride who loves everything traditional then Kundan jewelry is a must have for you. Kundakari is an art in which the stone and its mount have a gold filling in between. This gold outlining gives a larger than life look to the entire necklace. Mostly Kundan jewelry pieces comprise of uncut diamonds which are paired with emeralds or rubies. Till now, we informed you about different types of jewelry which are available in the market. But when it comes to purchasing jewelry for a bride, every piece has its own importance and meaning which a lot of brides aren’t even aware of. No worries! We have compiled a list which explains the meaning and significance of some commonly worn bridal wedding jewellery in Jaipur. Maang Tikka: This traditional piece of jewelry is a super hit amongst all the brides. It is worn on the hair’s center parting where a married woman puts vermillion (aka sindoor) which is one of the 16 signs of her being married. In case of a bride, as she is about to get married, instead of Vermillion the mang tikka is placed so that her hair parting is not left empty. However, this trinket should be purchased by considering the size of the forehead in mind. For brides with smaller foreheads, small Maang-tikka is perfect but for brides with large foreheads, a statement tikka will amp-up the entire wedding look. Anklet: Also known as Payal in Hindi, this beautiful trinket holds a lot of relevance for Indian ladies. 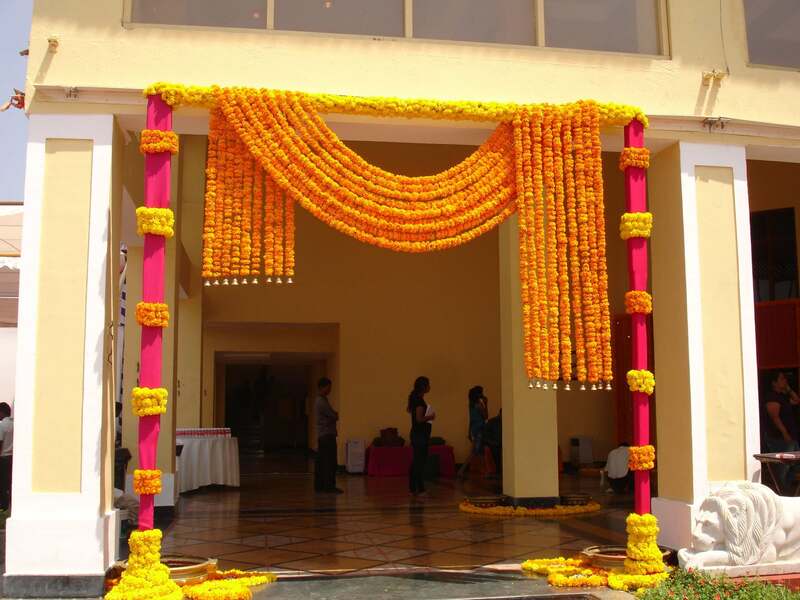 As per traditions, it is said the sonorous sound of Payal bells bring happiness in her life and the new home. Depending upon the amount of money you want to spend, anklets are available in different metals and sizes. These are made of gold or silver and of different weights as well as designs, which can be easily found at bridal jewellery shop in Jaipur. 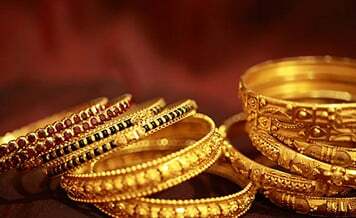 Bangles: Also known as Chudha in Hindi, bangles are said to bring prosperity and joy in a bride’s marital life. They also represent the long life of her husband and a happy marriage. A plethora of bangle options are available in the market like metal bangles, gold bangles, silver bangles, Jadau bangles for you to choose from. 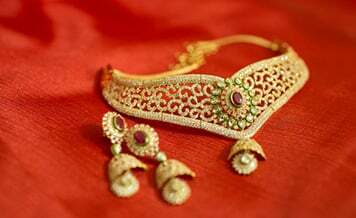 Armlets: Available in gorgeous and mind-blowing designs, Armlet or Bajuband is said to protect the bride from evil eyes. You can purchase an armlet in plain gold/silver metal or studded with uncut diamonds or colorful stones. We recommend choosing an armlet which compliments your wedding outfit. Earrings: As per various Vedas and traditions, evil spirits can enter a human body through openings. Since ears are one such body part, brides wear earrings to protect themselves from every possible harm and keep the bad luck away. Paasa: This elegant and oh so royal piece of wedding jewellery in Jaipur is becoming a hot favorite of many modern day brides. Paasa is a different form of Maang-Tikka which became a part of Indian culture during the time of Mughal rule. 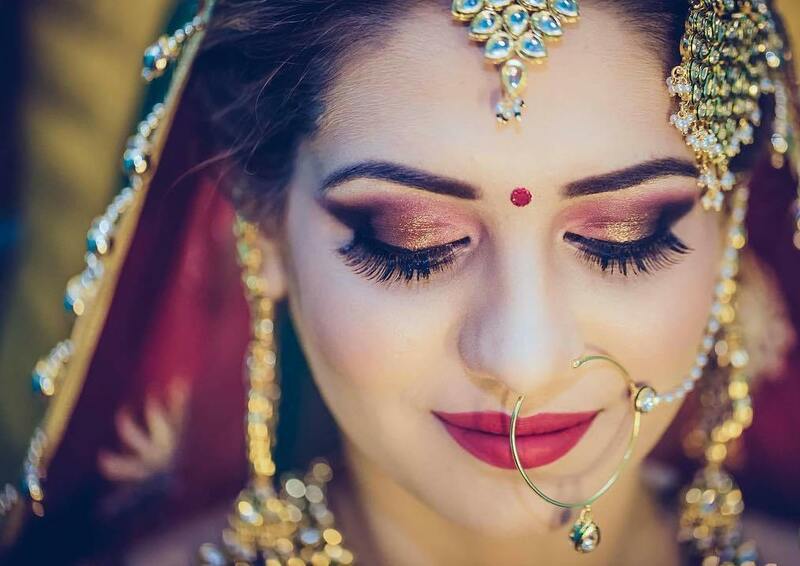 Traditionally, Muslim brides used to wear the Paasa as per their religious customs but owing to its old world charm and regal look, all brides are making this a part of their bridal look. You can also find Paasa on rent at bridal jewellery shop in Jaipur. We hope after going through the above information, you have now decided on the type of wedding jewelry you want to wear on the D-Day. The next task is to find the best and most trusted shops which sell classic, elegant and unique jewelry designs. For that, you need to visit Shaadidukaan.com which is India’s most trusted online wedding market. Here you will find thousands of wedding jewelry shops registered online. Visit and book today!